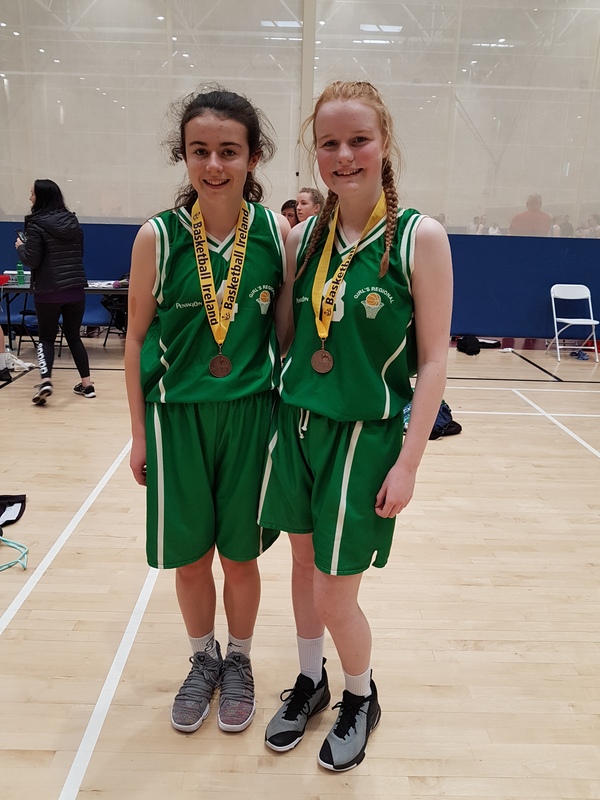 Moycullen BC was well represented at this year’s Basketball Ireland Tom Collins Post Primary School Inter-Regional’s in UL on 20th and 21st October. 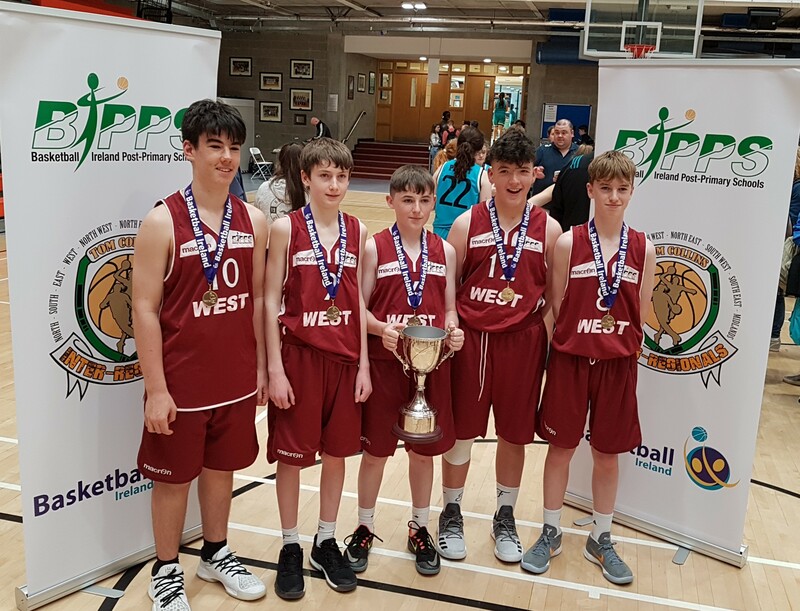 Moycullen had five representatives on the boys’ squad who played fantastically throughout the weekend to emerge as overall winners defeating a very strong team from the East in the final. This was the West’s first win in six years. Boys LtoR: Brian Clifford, Rory O Sullivan, Padraic McNeela, Donagh McDonagh, Evan Fox. Moycullen had two representatives on the girls team in Caoimhe O’Sullivan and Ruth O’Sullivan. The West girls won three of their four group games on Saturday and lost to the South West girls on Sunday who went on to win the event outright. 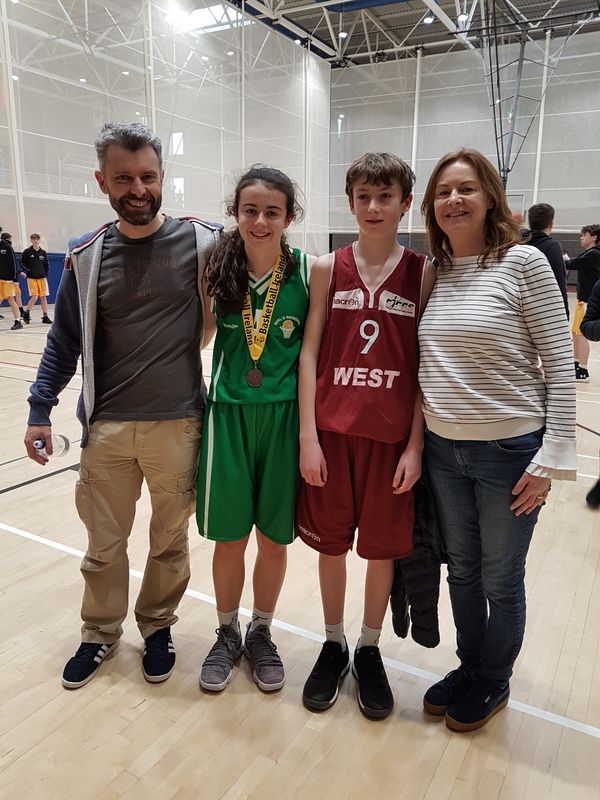 Twins Caoimhe and Rory O Sullivan achieved the unique honour of both being selected to represent the girls and boys West teams respectively. Pictured with their proud parents Brian (our club secretary) and Martina O Sullivan. The club is very proud of all.